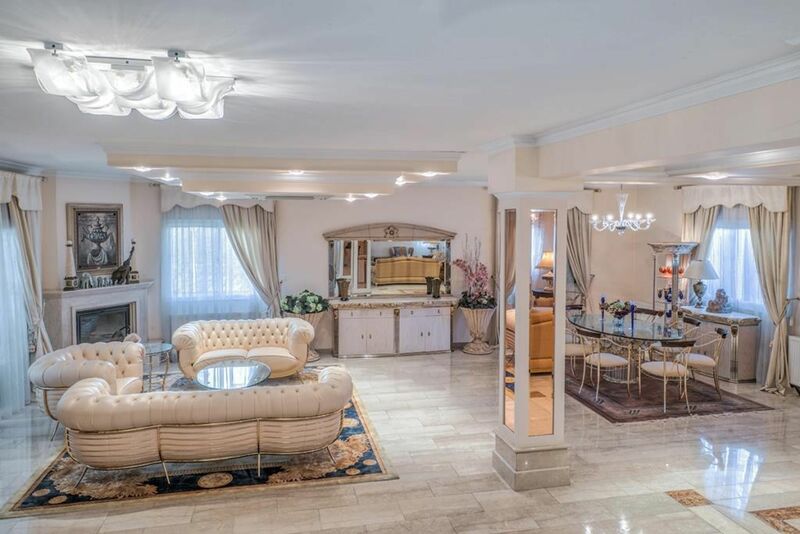 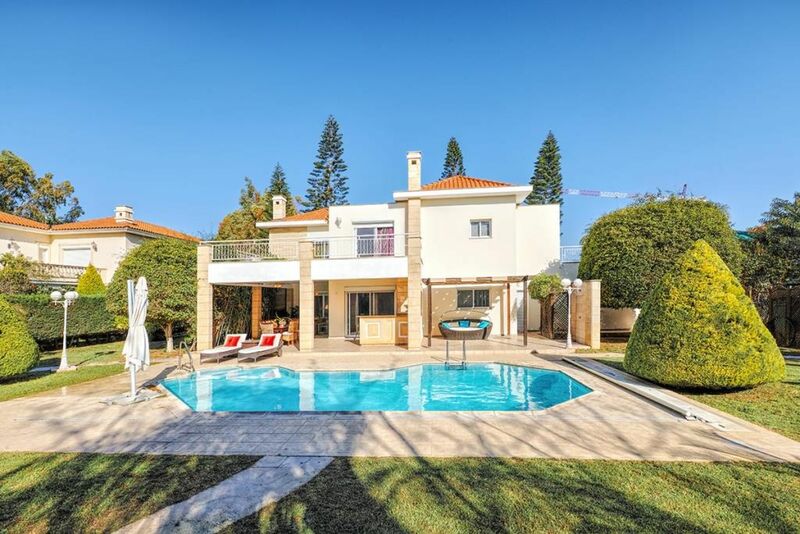 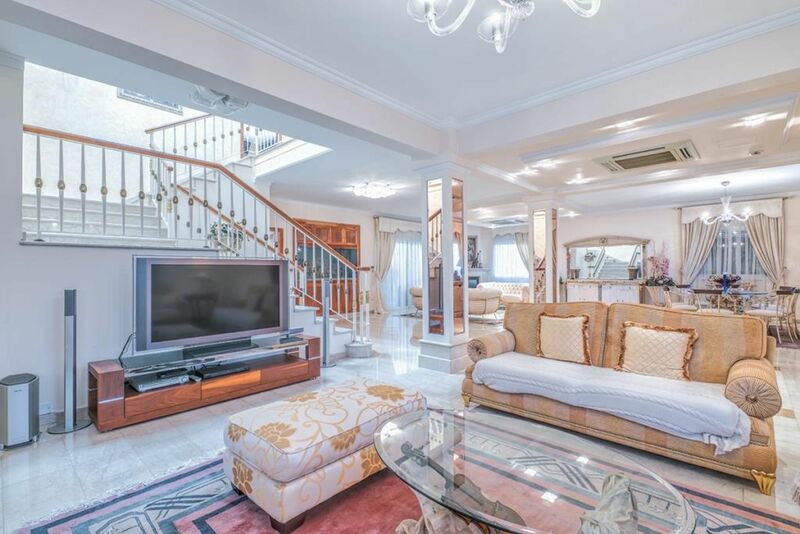 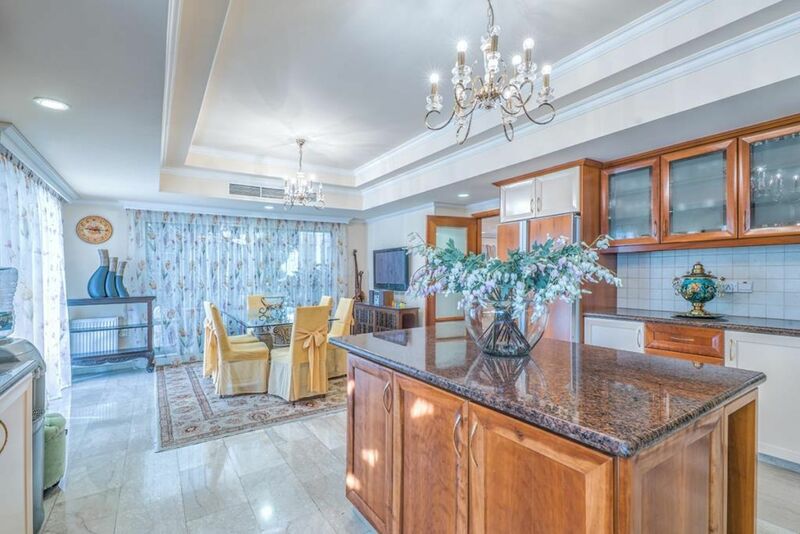 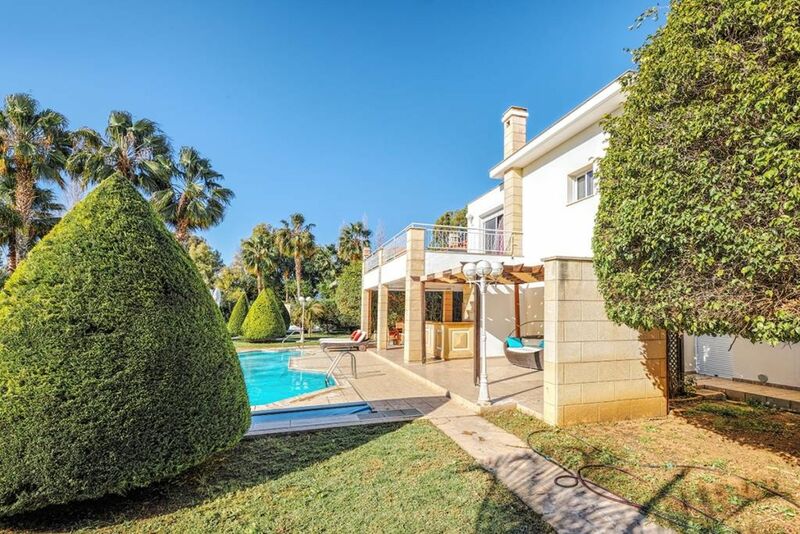 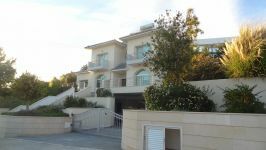 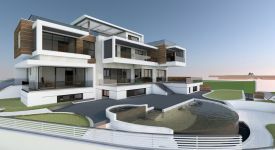 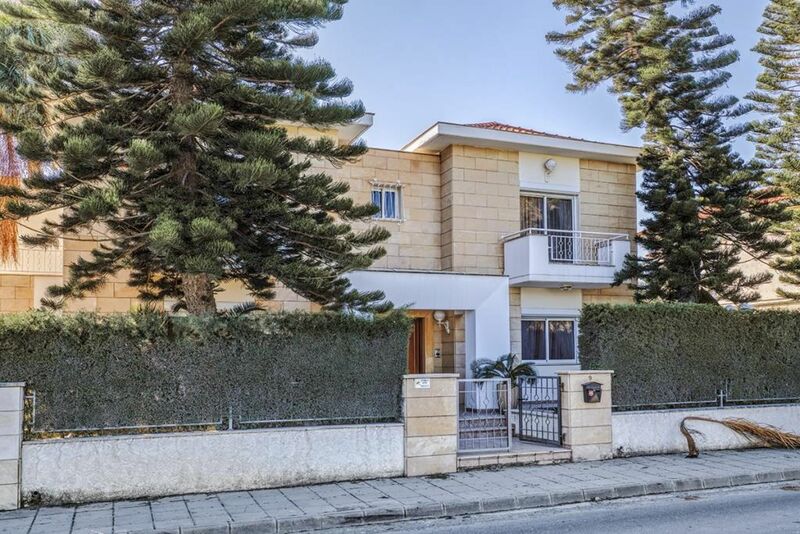 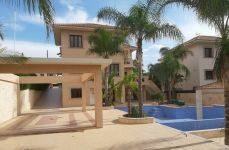 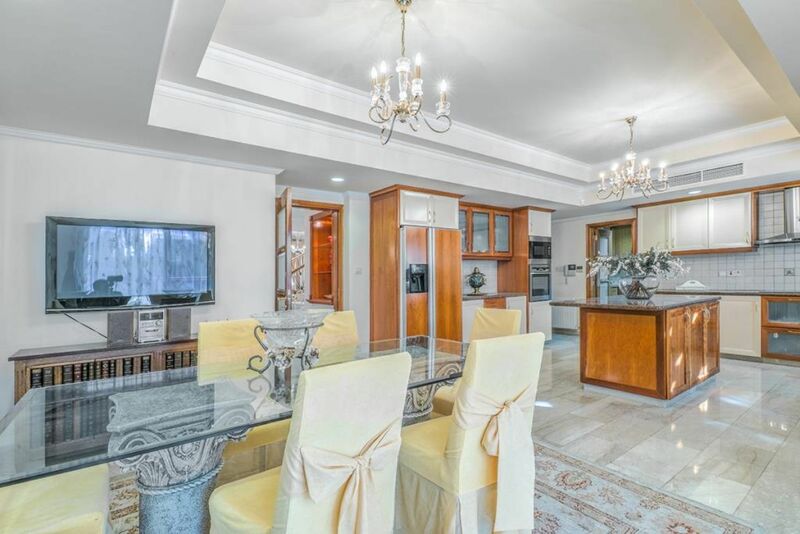 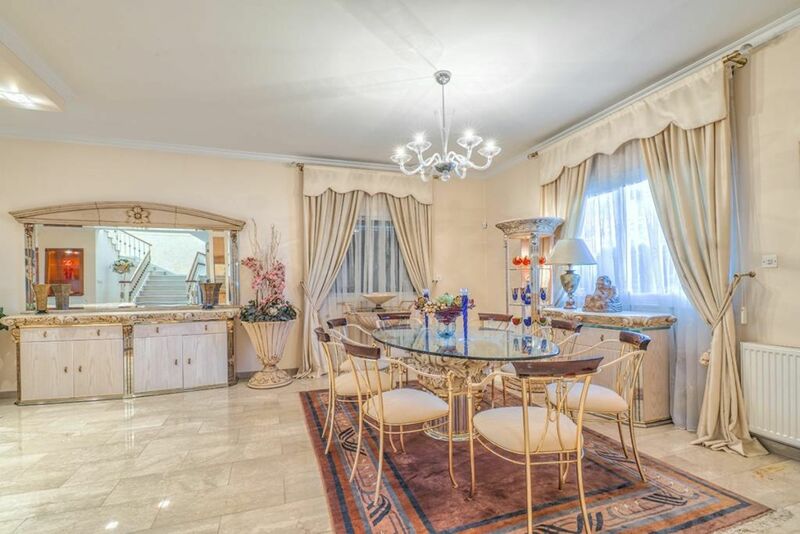 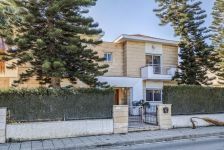 A stunning, ultra-luxurious villa at one of Limassol’s most premium locations. 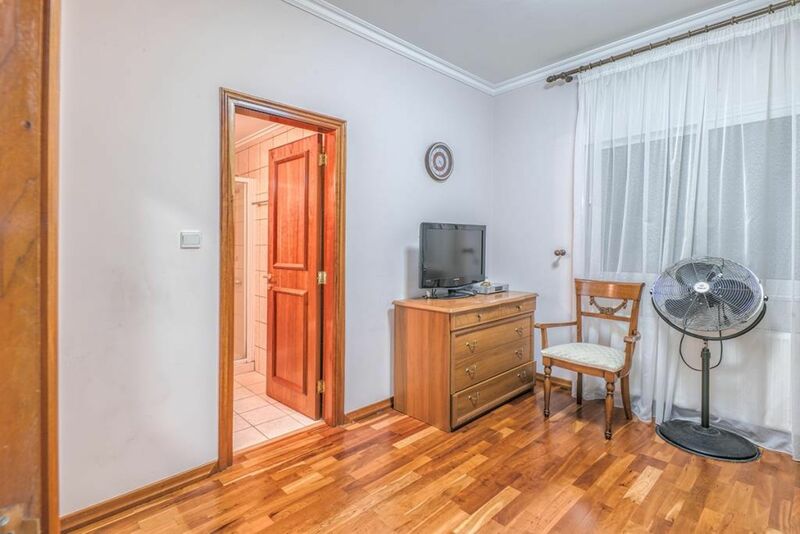 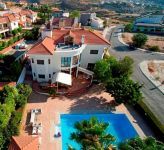 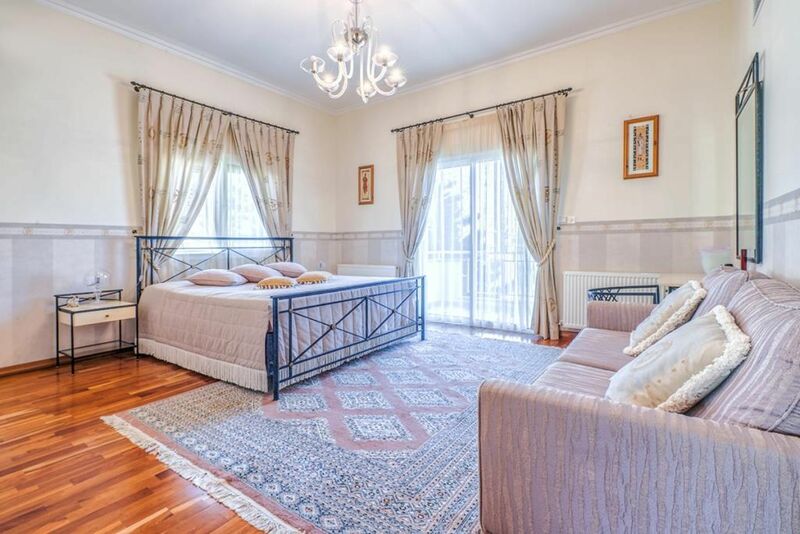 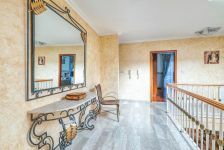 This property benefits from being right in the centre of the tourist area but at the same time enjoys the perks of an exclusive, quiet residential location at Potamos Germasogeias. 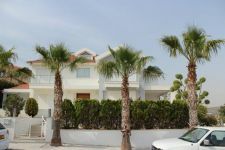 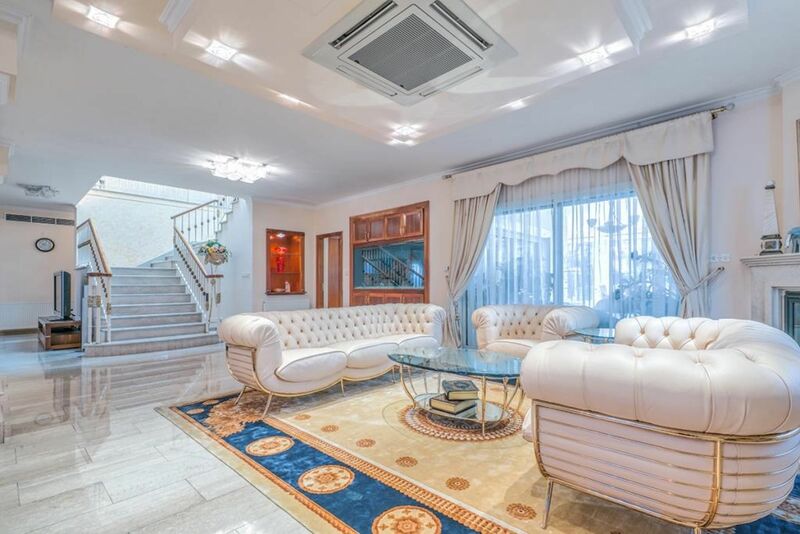 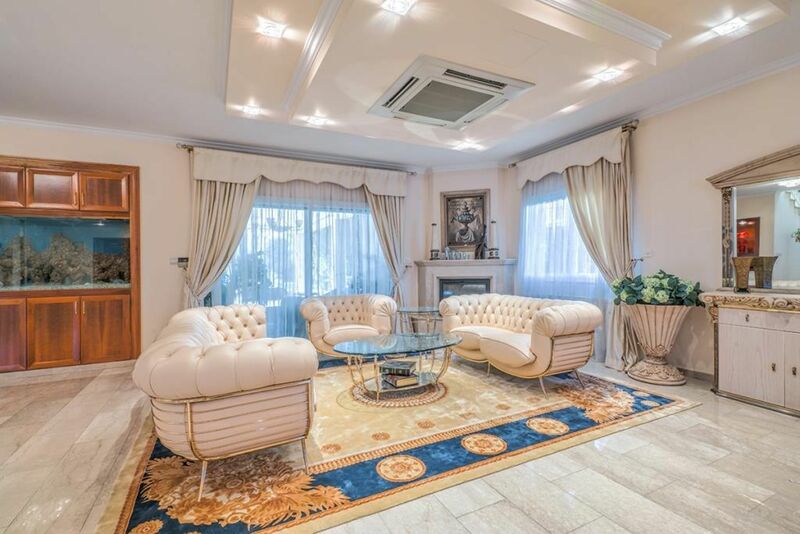 The villa was constructed by famous property developer and has been delivered with the highest technical and architectural specifications in mind. 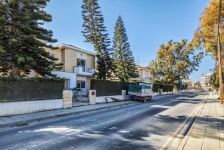 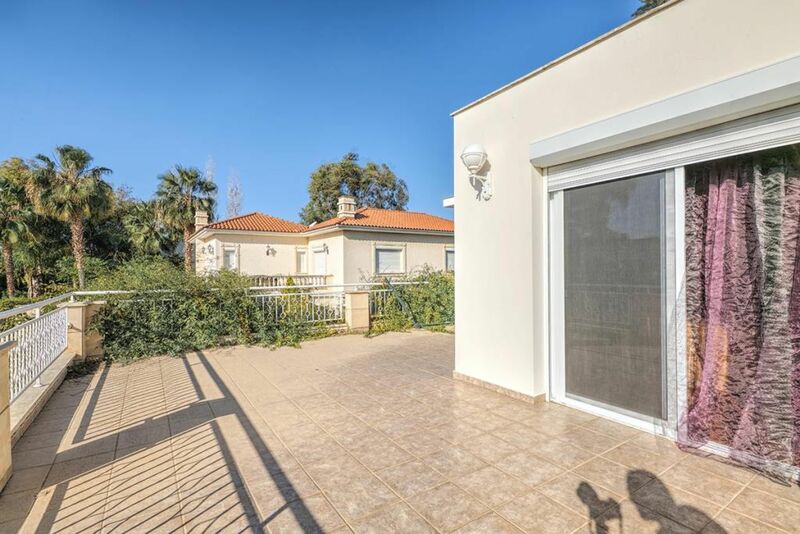 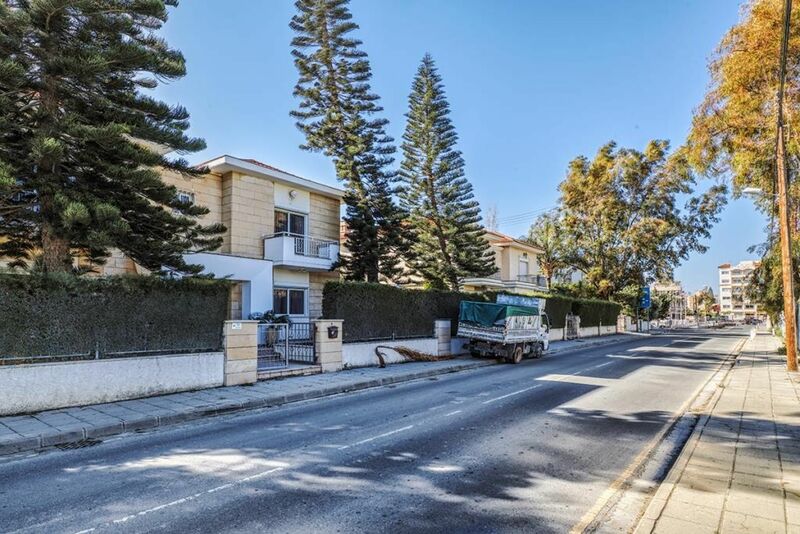 At a mere 300m from the beach and Limassol’s famous seaside, it provides easy access to the highway and the city centre. 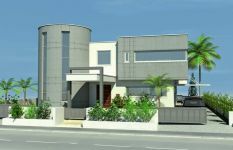 The plot is truly unique, firstly due to its size at 1478 sq.m., a plot rarely found in such central locations. 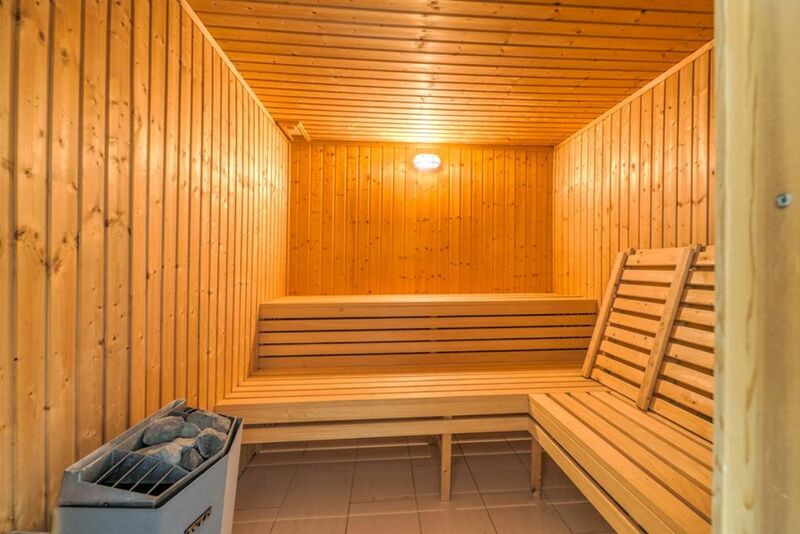 The covered spaces add up to 600 sq.m., while there is an additional 100 sq.m. 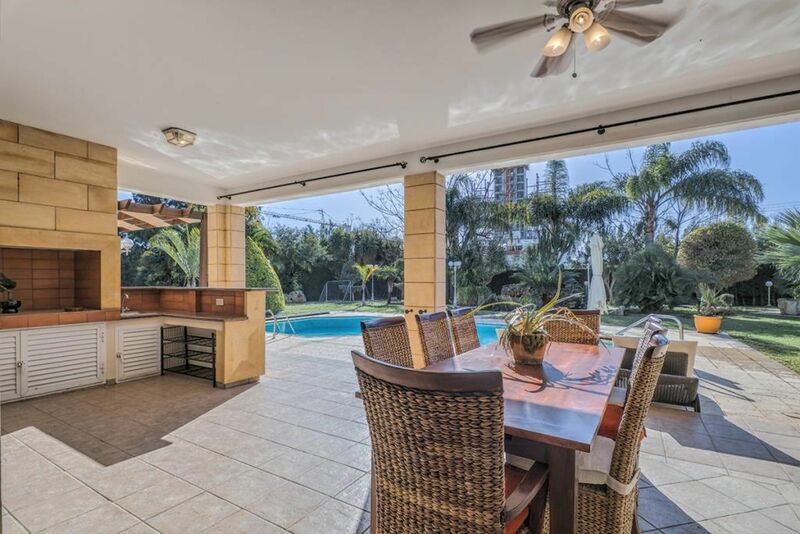 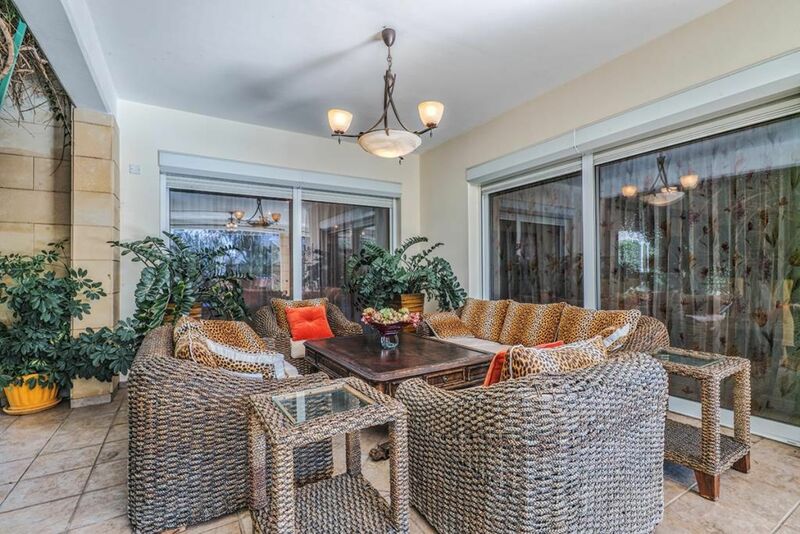 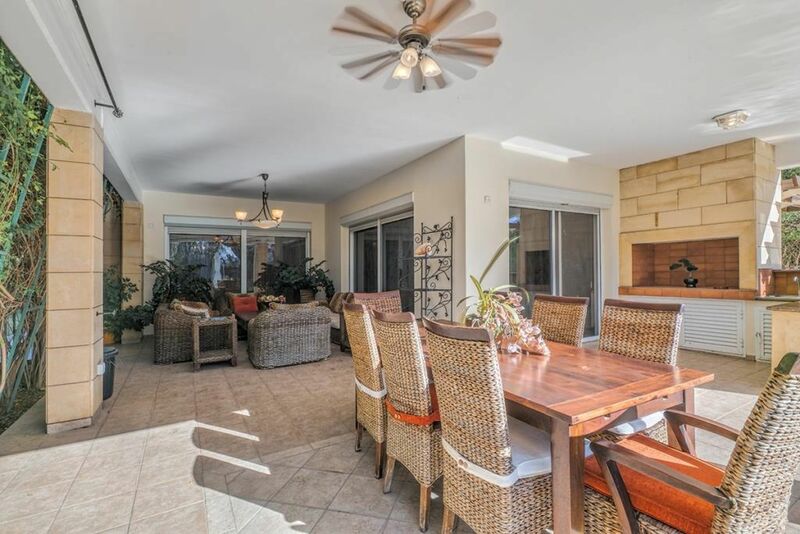 covered and uncovered verandas, to enjoy the long summer nights and pool parties. 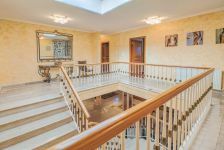 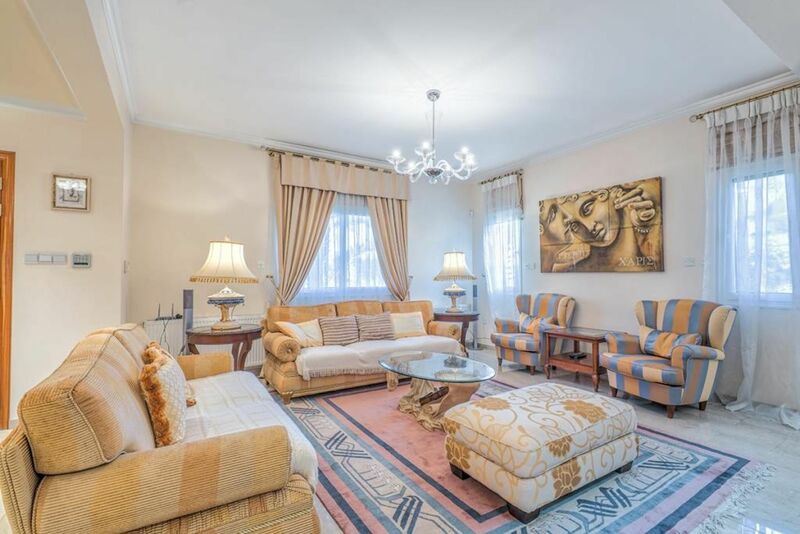 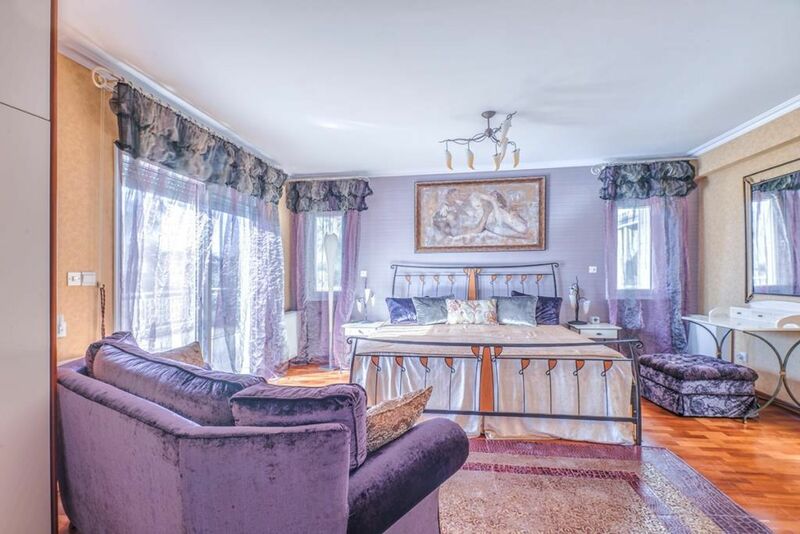 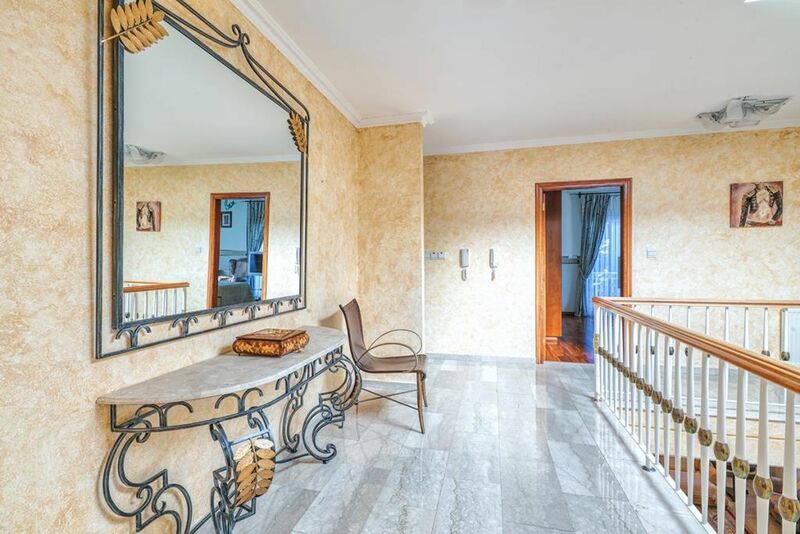 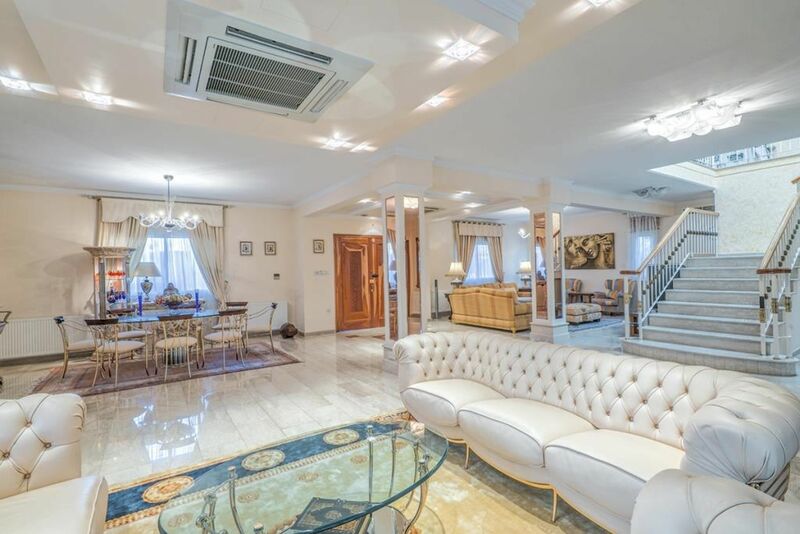 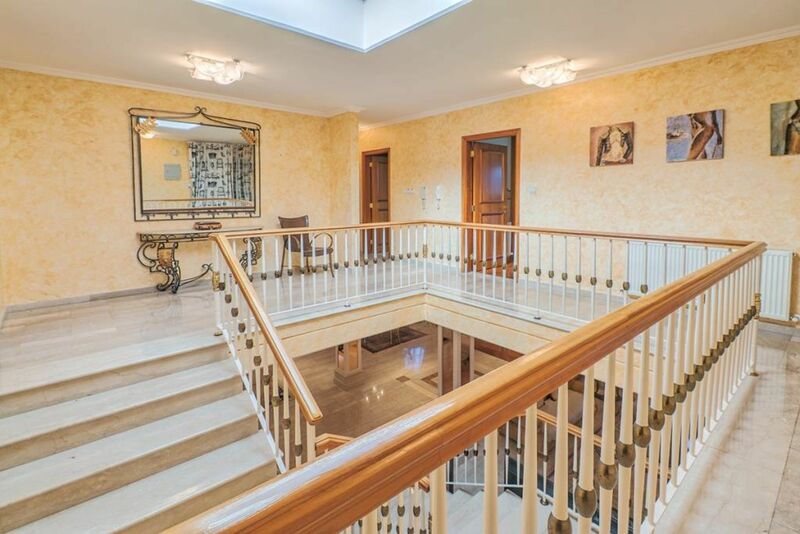 A grandiose property, boasting 6 bedrooms and 4 bathrooms, making it a perfect choice for family living or for hosting guests. 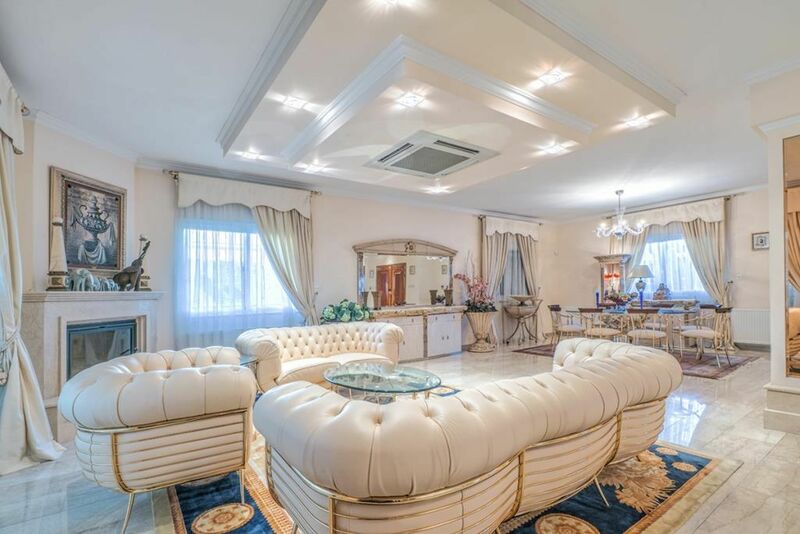 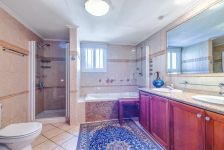 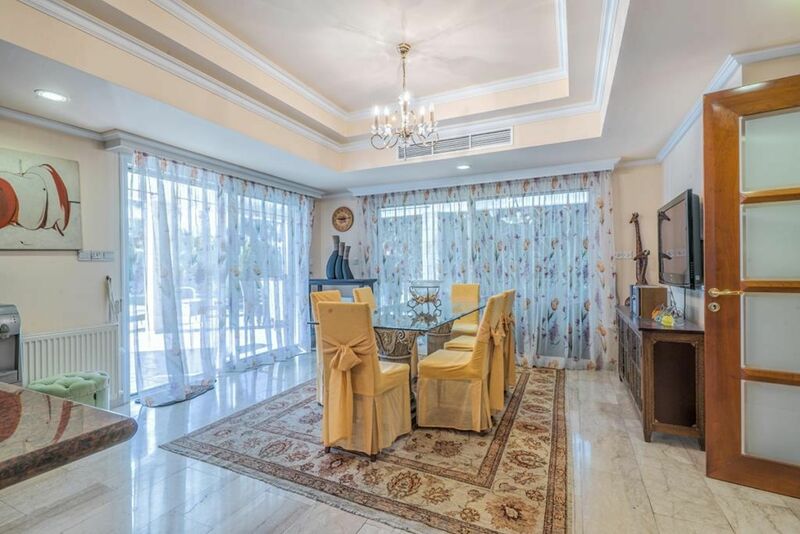 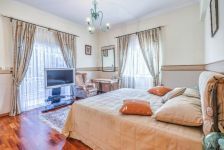 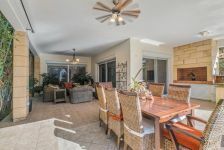 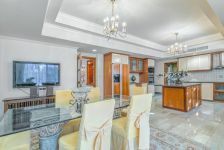 The interiors of the villa are styled to perfection, top quality finishes, marble floors, fireplace aquarium and integrated A/C and heating systems. 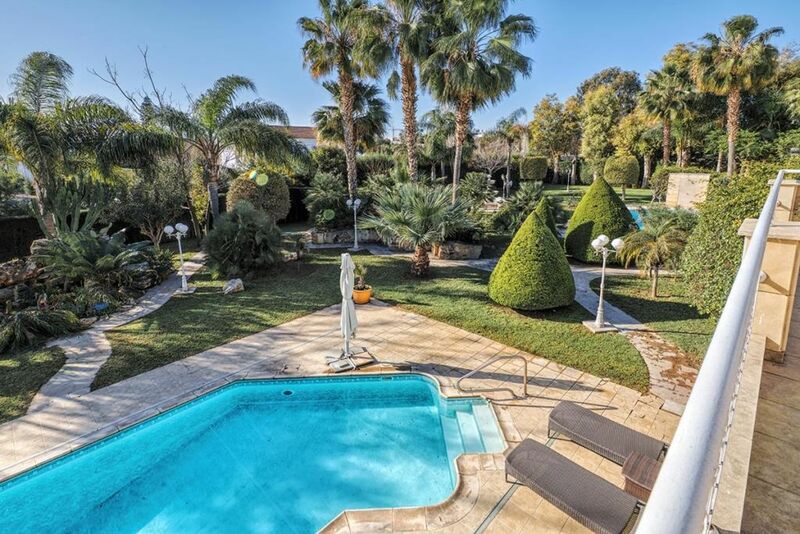 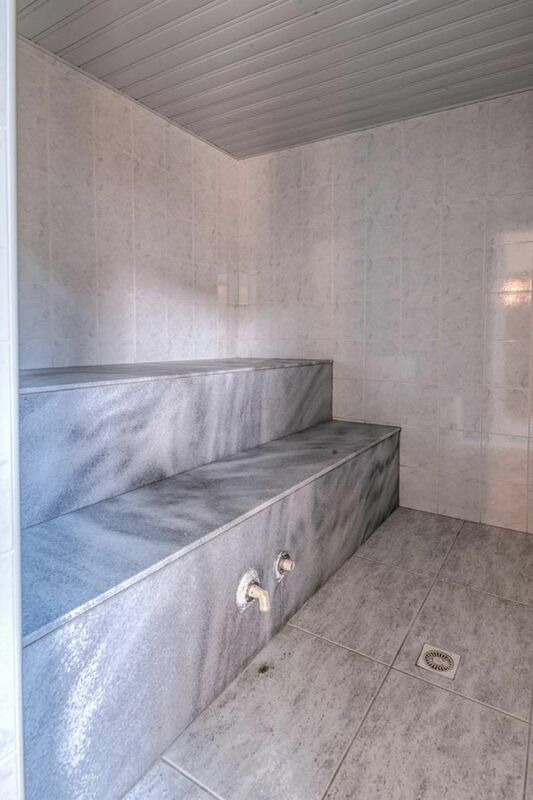 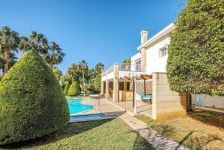 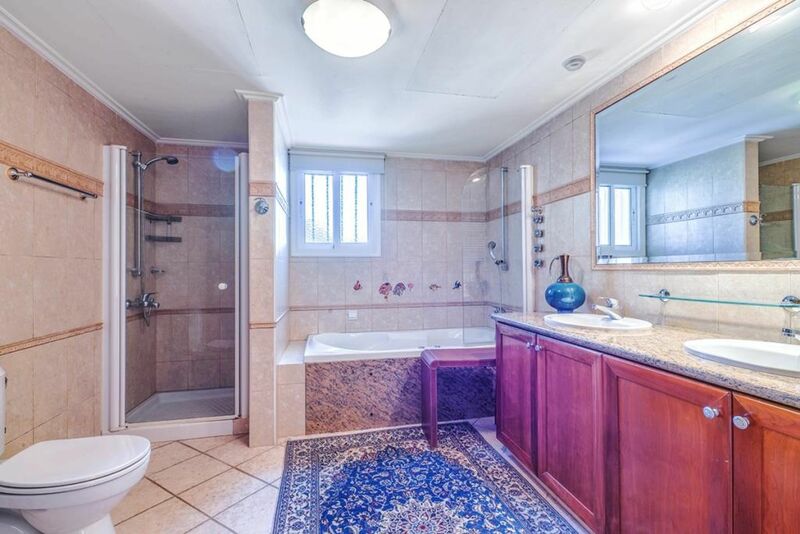 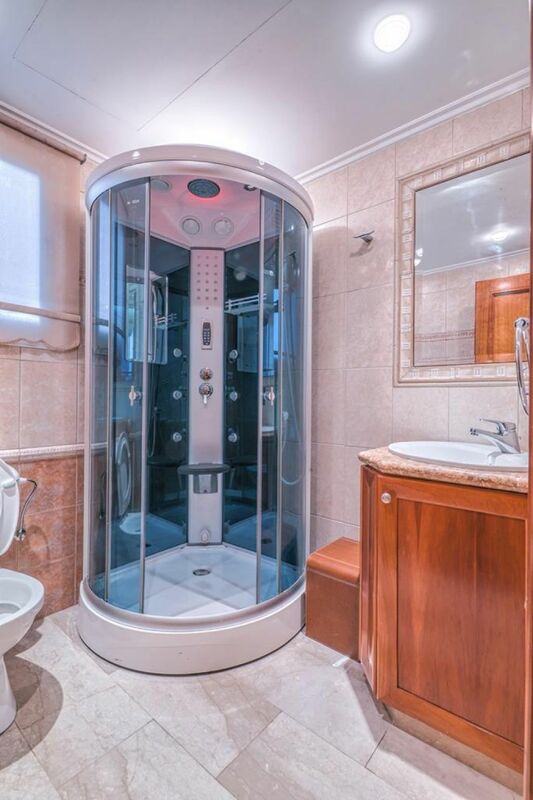 Living at such a place is a lifestyle choice, further reinforced by its great swimming pool, sauna and Hammam all encompassed within a magnificent mature garden, offering a living experience paralleled to none. 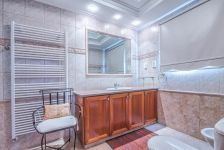 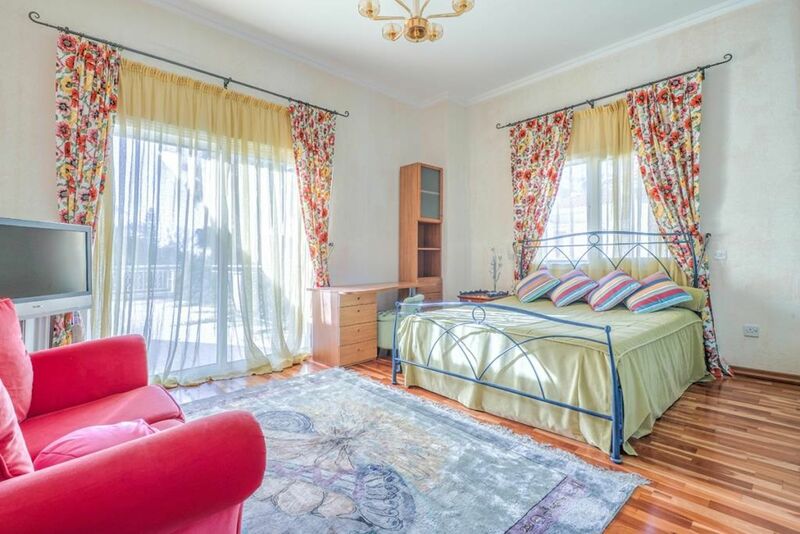 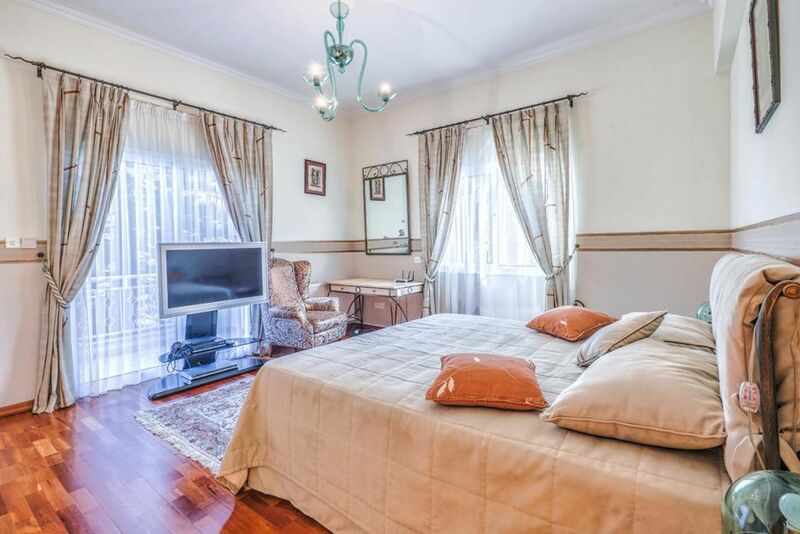 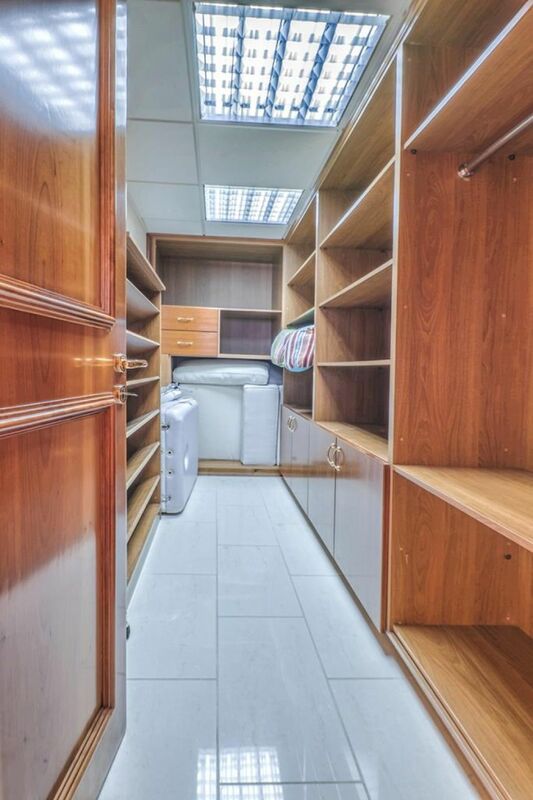 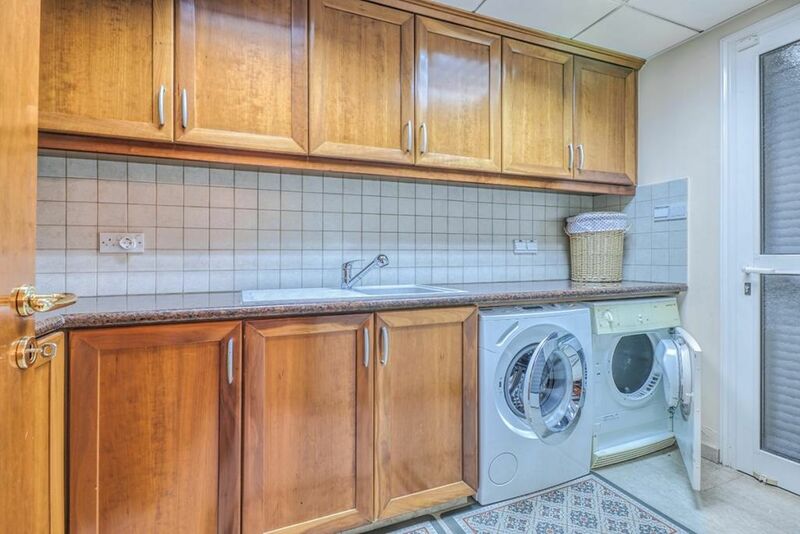 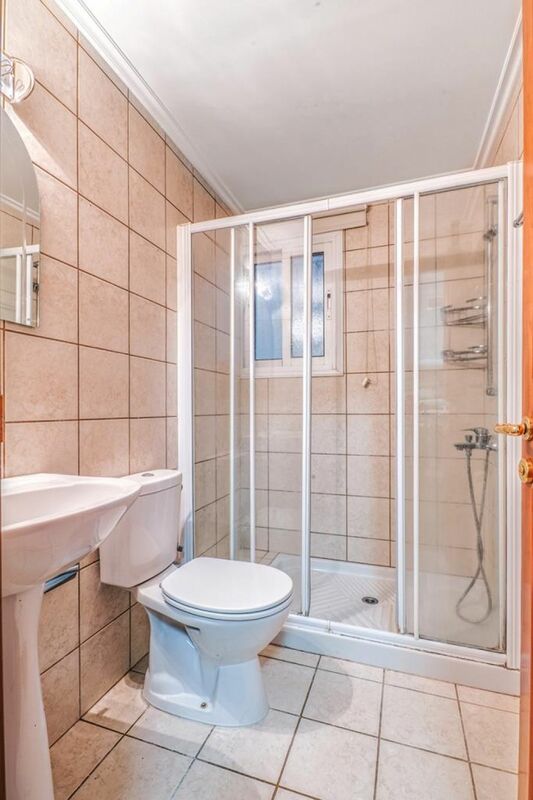 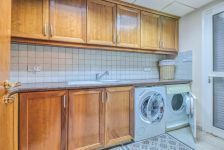 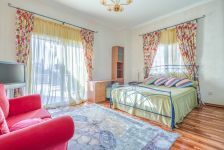 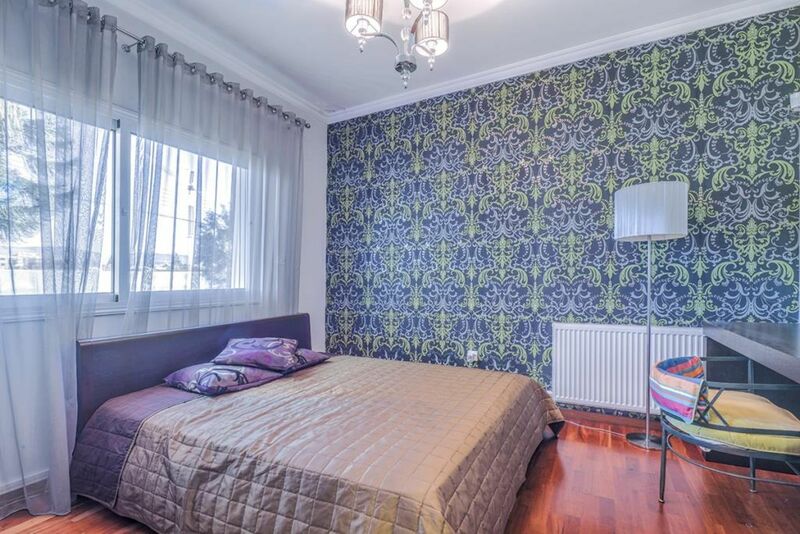 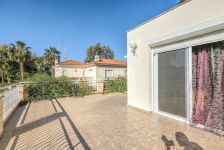 The property comes unfurnished but with fully fitted kitchen and home appliances, with a maid’s room with its own WC, storage room and laundry room.